Monocrystalline solar panels are the best at converting light to energy because of their high silicon purity. That being said, monocrystalline solar panels are often the most expensive—this option is best if you want the highest productivity and price tag. Monocrystalline solar panels cost between $300-700 USD per panel. Monocrystalline solar panels also produce the most waste when they're manufactured. If you're buying solar panels to go green, another material may suit your needs better. All solar panels are made of silicon. 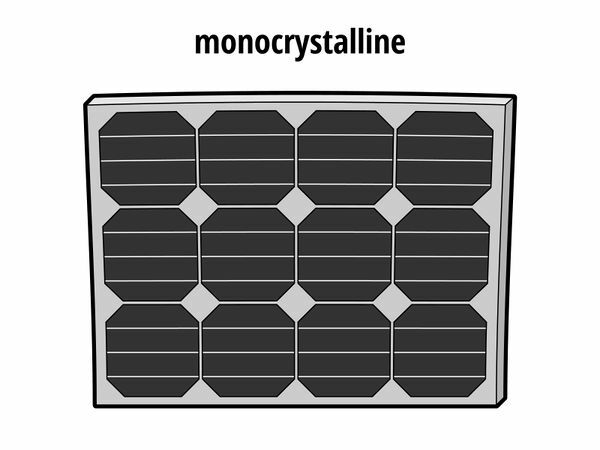 The higher the silicon purity, the better your panel will work, which is why monocrystalline panels are ideal. Polycrystalline solar panels utilize all of the silicon material they're manufactured with, making them the "greenest" panel option. Polycrystalline solar panels are also cheaper than monocrystalline panels, though they are not quite as efficient. Polycrystalline solar panels usually cost between $200-500 USD per panel. Polycrystalline solar panels do not do as well in warm temperatures. Hot climates with temperatures regularly above around 80 °F (27 °C) are not suitable for polycrystalline panels. Thin-film panels are cost-efficient to make and are usually the cheapest option. They also, however, degrade faster than other panels. 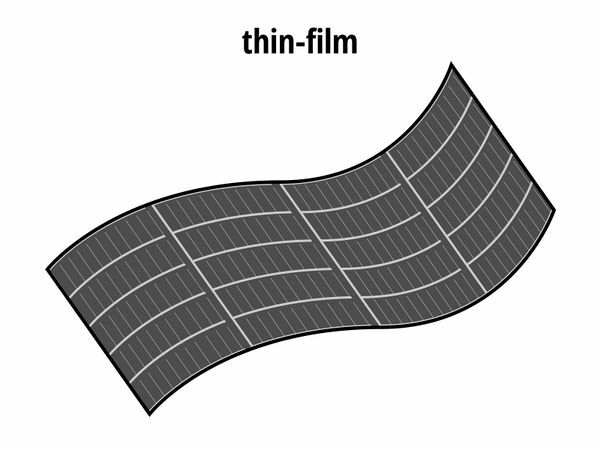 Choose thin-film if you need a simple solar panel that may need more repairs over the years. 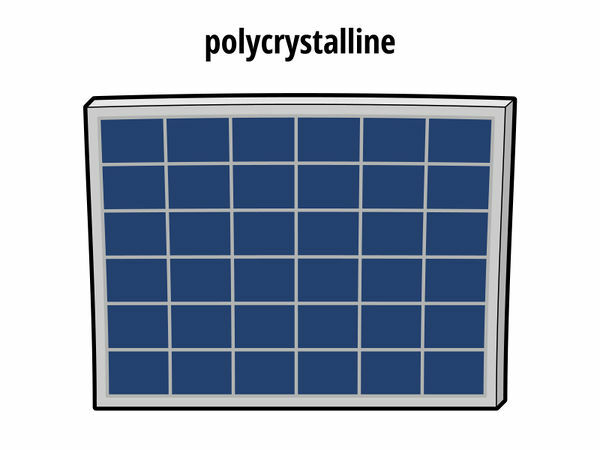 Polycrystalline solar panels usually cost between $175-300 USD per panel. Thin-film panels usually need the most space and are less practical for smaller homes. They may need up to twice as much room as a mono- or polycrystalline solar panel with the same energy output. 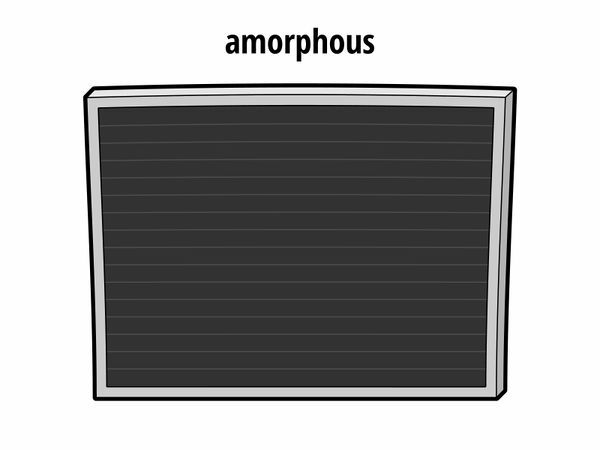 Amorphous solar panels are a subset of thin-film solar panels. Generally, they are smaller than other thin-film panels. Through a process called "stacking," which involves multiple layers of amorphous silicon cells, these panels can reach high levels of efficiency, around twice as high as other thin-film solar panels. Amorphous solar panels are more expensive than other thin-film panels. Amorphous solar panels generally cost between $200-400 USD per panel. Central inverters are the oldest and most common solar inverter type. These inverters are also usually the most reliable option, as they function well in harsh climates and have been researched the most by environmental scientists. Central inverters can cost between $1500-2400 USD. 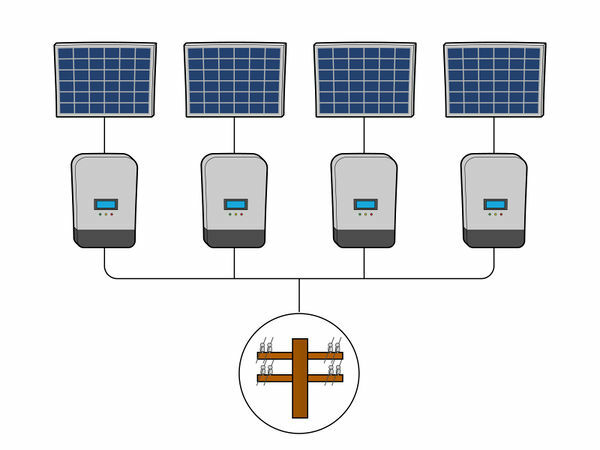 String inverters are a newer form of central inverters that connect a group of small panels together so they function as one. They are also usually cheaper than central inverters and the most budget-friendly inverter choice. String inverters may cost between $1400-2000 USD String inverters work best on houses with a flat roof. Compared to power optimizers and microinverters, string inverters are an older technology. 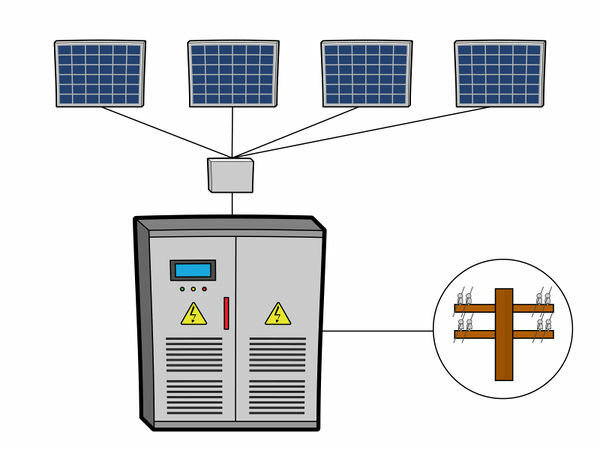 This type of solar inverter is embedded into the solar cell, which helps them work in shady locations. Choose power optimizers if your home receives 6-8 hours of direct sunlight with periods of partial shade in-between. Power optimizers may cost $2000+ USD, depending on the strength of the device. 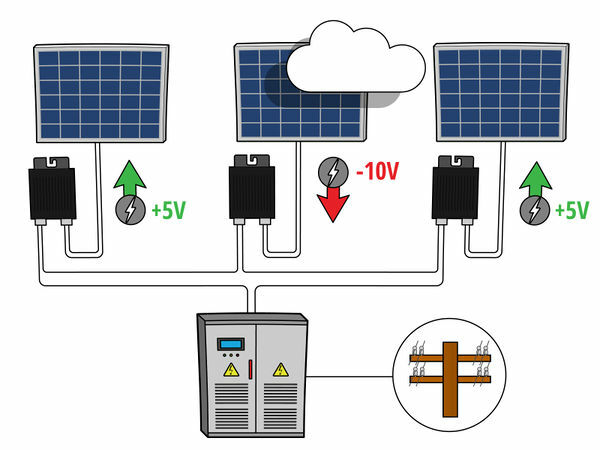 Like all solar panels, power optimizers will not work in perpetually cloudy environments. 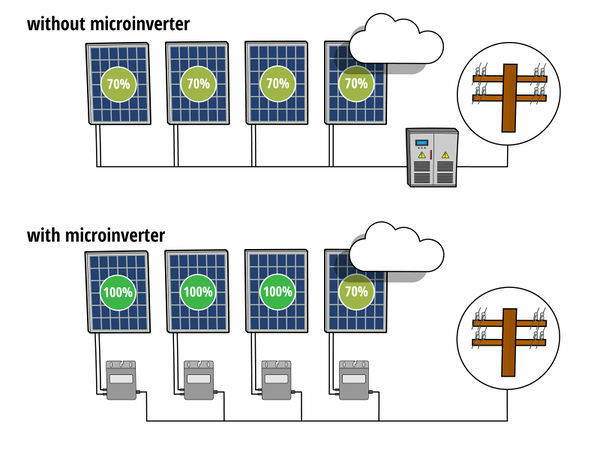 Microinverters generally last longer than other solar panel types. Unlike other inverters, which stop working if a single panel fails, microinverters keep working with a broken panel. Because of their long lifespan, however, microinverters are also the most expensive option. Microinverters can cost up to $2300-2500 USD. Microinverters are often easiest to install. 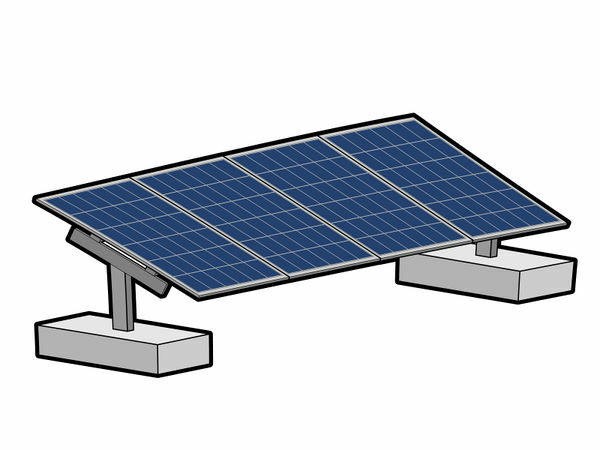 Solar panels on a ballasted mount are attached to the roof at an angle several feet or meters above the roof. Ballasted mounts are efficient because they do not penetrate the roof and receive more direct sunlight. Because this design makes them more vulnerable to being blown away, however, they do not work well in windy climates. On the whole, ballasted systems tend to be the cheapest mounting option. They can cost between $50-100 USD per panel. Ballasted systems generally cover the whole roof, which can make maintenance or remodeling hard. 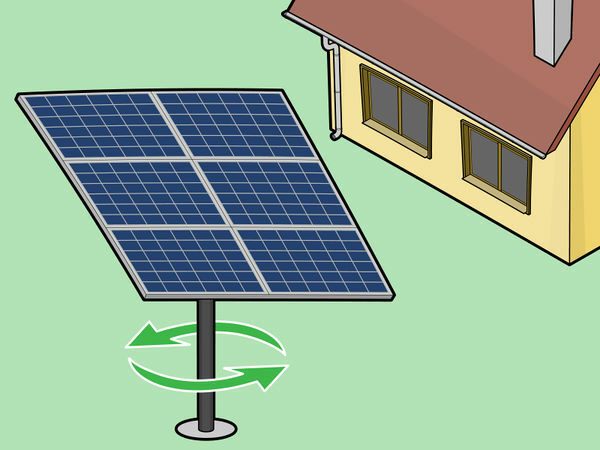 Solar panels on a mechanically-attached mount are attached tightly to the roof at a slight or no angle. Because mechanically-attached mounts are mounted to the roof beams, they fare well in harsh weather. They also take up less space and are ideal if you need access to your roof often. Because mechanically-attached mounts are smaller, they're usually easier on the roof. Mechanically-attached mounts may cost between $75-125 per panel. Hybrid mounts are attached to the roof like mechanically-attached mounts but may be slightly raised or angled like ballasted mounts. This keeps them secure to the roof while receiving more direct sunlight like ballasted mounts. Fixed mounts follow the sun throughout the day. This orients their panel positioning to absorb as much sunlight as possible. If your solar panel is on the ground and receives some shade each day, fixed mounts can help your system convert more energy. Fixed mounts can cost between $160-200 per panel. 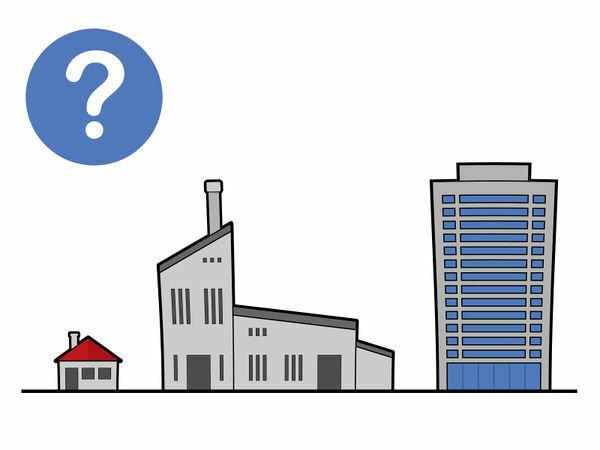 Depending on whether you're using the solar panels in a residential, commercial, or industrial building, some solar panels may fit your needs better than others. Let the company you're purchasing solar panels from know what kind of building you're using solar panels in so they can help you find the right option. If you're buying solar panels for an industrial building, for example, you may want monocrystalline panels for their efficiency at converting energy. 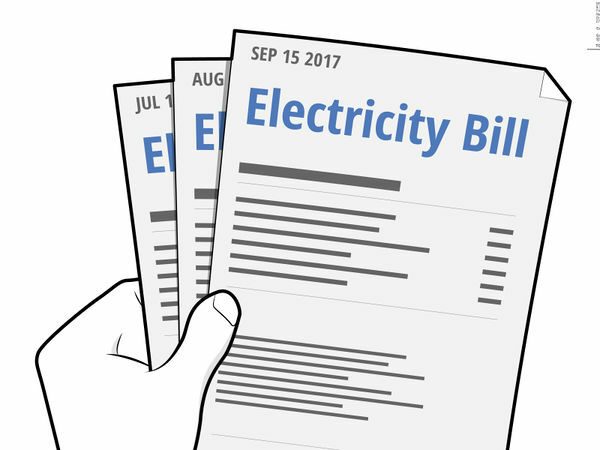 If your building expends a lot of energy, an expensive solar panel that generates more energy may help you save more in the long-term. 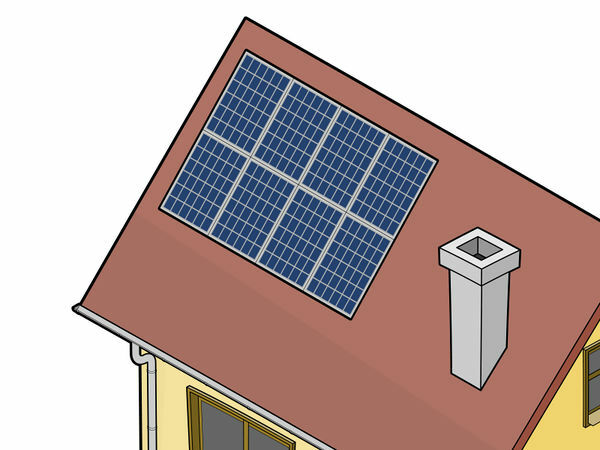 Consult your past 2 or 3 energy bills to decide whether the solar panel's price or efficiency is a better investment. If your electricity bill is high every month and you plan to live in your house for a long time, for example, you may choose a monocrystalline solar panel. If you do not use as much electricity, however, a thin-film solar panel may fit your needs. 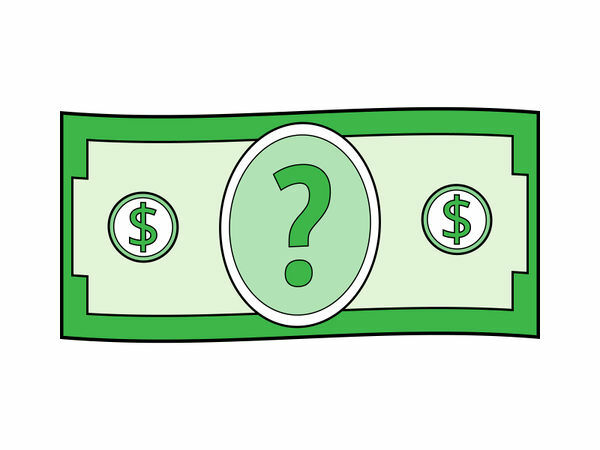 Between the panel material, solar inverter type, and other factors, the cost of a solar panel can add up over time—if you're not careful, you may end up overspending. 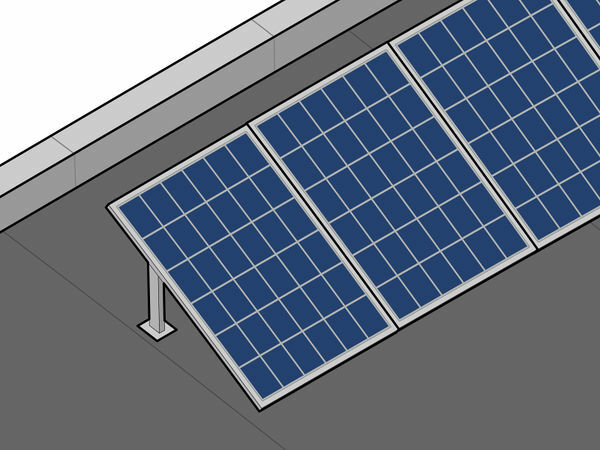 Decide how much you're willing to spend beforehand so you don't put too much money into your panels without realizing it. 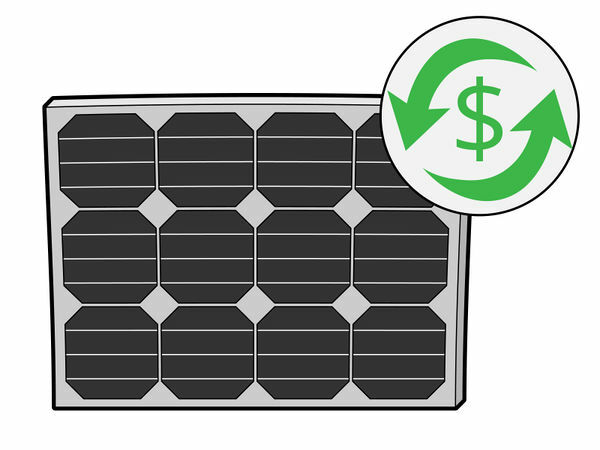 Shop around at several different solar panel companies to compare deals before purchasing a system. Some countries offer government-issued tax rebates for solar panel installation. If your country offers this program, you may be able to reduce the net cost of your solar panel. Consult a financial advisor to discover solar panel tax rebates in your country. Depending on your country, you may receive between 30-50% off of your net cost in rebates.